This exhibition sees the collective imagination of LE GUN venture into new territory as the group’s collaborative artwork moves from black and white into technicolor. 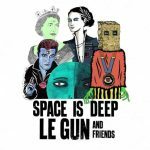 LE GUN work together on each drawing they make, creating idiosyncratic imagery which blends a punk, occult, pop and surrealist aesthetic. 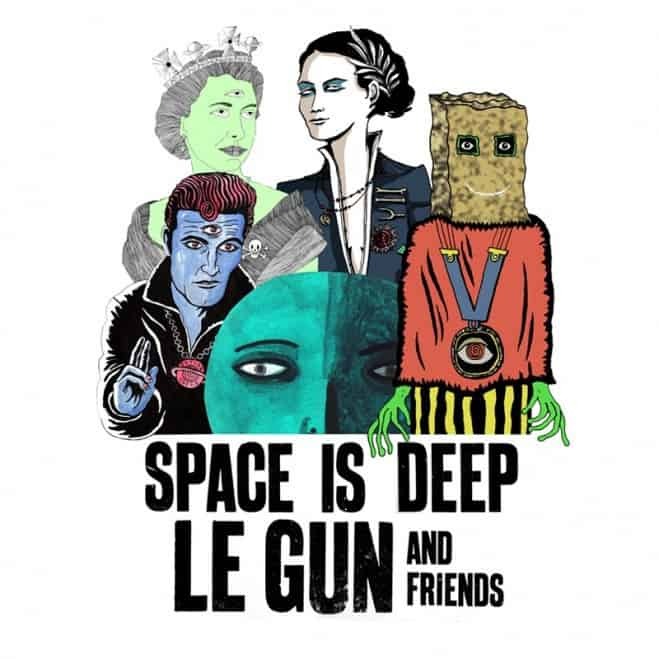 Established in 2004, LE GUN is a group consisting of five artist illustrators (Bill Bragg, Chris Bianchi, Neal Fox, Robert Rubbish, and Steph von Reiswitz) and two designers (Alex Wright and Matt Appleton) who met at London’s Royal College of Art. As well as being the producers of their cult self-titled magazine, the group are internationally recognised for their enigmatic installations, design projects and art shows. Most recently they built a shamanic ambulance pulled by urban foxes for the exhibition Memory Palace at the Victoria and Albert museum. The particular style they have developed, in which the sum is greater than the parts, is what makes LE GUN’s group aesthetic so distinctive. Their independent graphic art publication provides a common ground for both emerging and established artists, illustrators, writers and poets, and this show also features a group of artists who have regularly featured in its pages, alongside the work of the LE GUN collective.